Since the foundation of Montega® until today, from the story of Green Chemistry set in Romagna to the success obtained at industrial laundries, this excellent journey is made of the acquisition of crucial certifications thanks to the procedures that combine the outstanding product quality with the environmental and health protection. 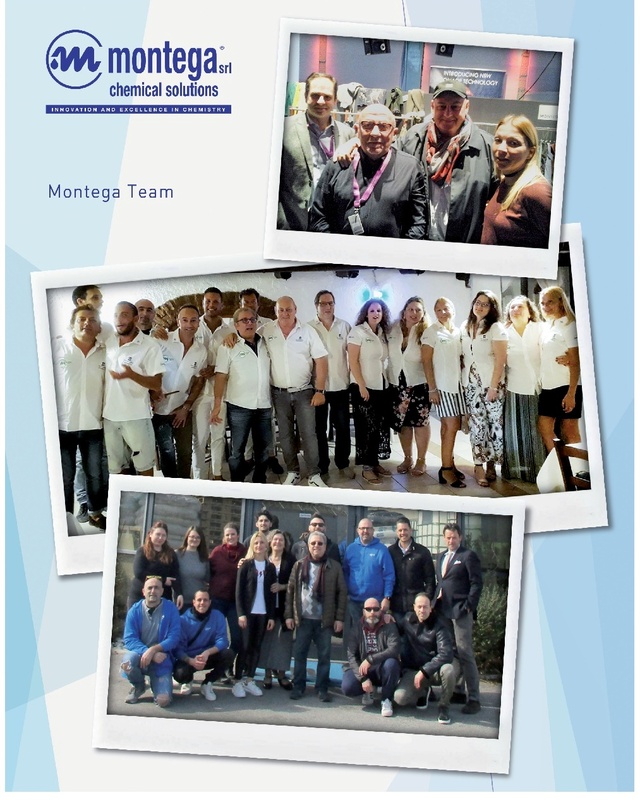 Montega® srl, a producer of industrial textile detergents for professional use, was founded in Sant’Andrea in Casale (San Clemente fraction in Rimini province) in 1980. The business moved to Rimini in 1984 and then again, in 2003, to Misano Adriatico where it is headquartered now in a much bigger structure with better organized production labs, chemical products storage and offices. In spite of the unfavorable global crisis that followed, Montega® managed to maintain a stable position in the market. The business grew more slowly, yet steadily. This ability to grow during difficult times, determined by the incontrollable world crisis, demonstrated the excellent capability of the business to offer quick, dynamic and efficient answers to the market in distress. As a matter of fact, the sharp increase of the production to meet the market demand back then pushed Montega® to double the dimensions of the factory in 2009. 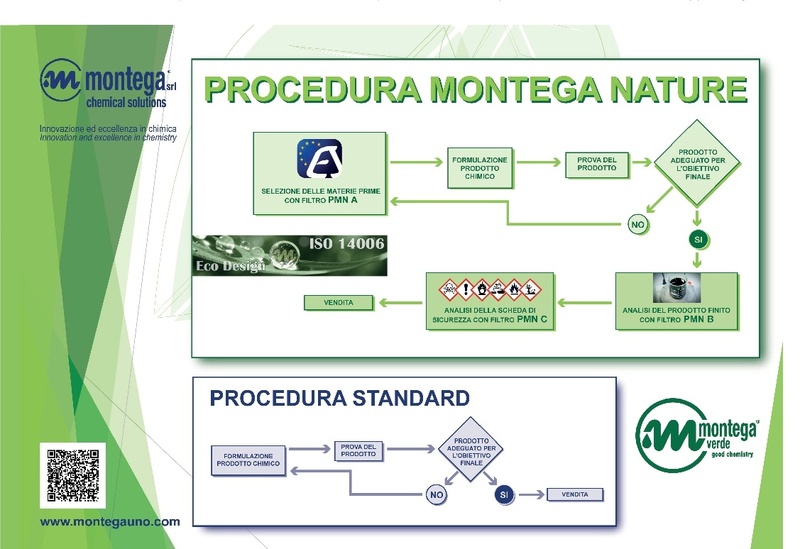 Montega® obtained the ISO9001 certification by adopting the quality management system (2012) and improved the lab capacity through the introduction of new equipment. Then, in 2017, the company opened a new structure in Riccione, M-Lab Garment University, entirely dedicated to textile treatment. 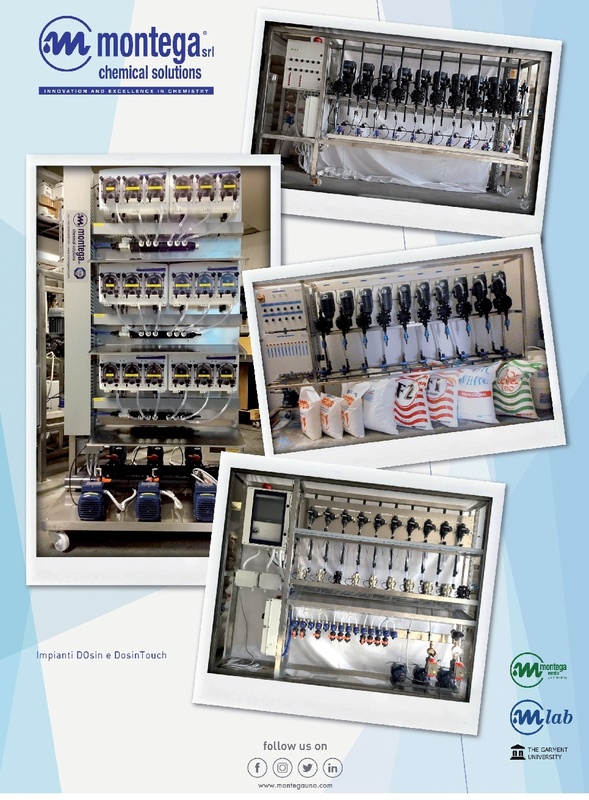 In 2018, due to a significant increase in production, as a consequence of the boost in distribution both in Italy and abroad, Montega® applied an automation system to the production aiming at the more and more necessary development of industrialization. 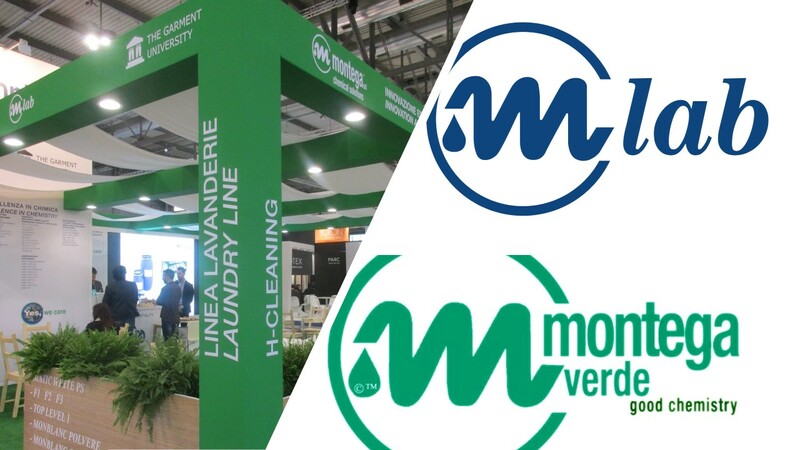 In 2010, Montega® decided to assign its sales network to Venere Mattioli, the Sales Director of the Industrial Laundry Line, together with a team of laundry and plant technicians. The collaboration with the team revealed to be crucial in increasing the Italian imprint of Montega® in industrial laundries. 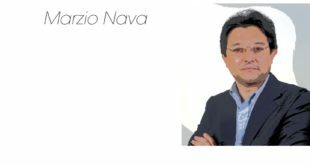 It provided the business with the opportunity to be able to count on external collaborators in various areas in Italy who guaranteed a more efficient timing in providing professional services. In 2018, the year of EXPOdetergo International in Milan, the exhibition of Montega® emphasized its position as a leader of the sector. As a matter of fact, the company follows its customers by producing customized wash records developed by the internal R&D Montega® lab that analyses fabrics through advanced tools. They identify both the substances that may damage the fabrics and the specific products for the removal of difficult stains. Thanks to the supply of fabric samples, the R&D Montega® realized more than 200 wash records by using EMPA 103 and EMPA 300 strips as quality and duration standards. 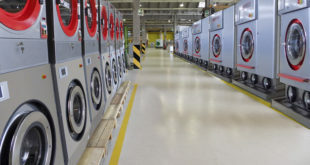 As the business is constantly involved in searching for new solutions that combine the highest possible washing standards with the necessity of protecting the environment we live in, Montega has realized a new, automated system called DOSITOUCH. Eco Automation is a new formula by Montega® that has been adopted to favor automated dosing through a remote, 360 degrees assistance. The entire washing process is fully managed by a computer with the use of traditional and/or eco-friendly products. Over the years, Montega® has directed the research towards eco-sustainability and eco-responsibility. The eco culture does not come from a single idea nor from an educational program or a life-style alone. The eco culture is, first of all, a result of a real need for a change that cannot be postponed any further. The need that our planet is communicating through an infinite number of frequent and overwhelming signs. Creativity and innovation have become the keys through which an actual and timely ecodesigned system was created. Such is the context of the obtained environmental certification ISO14001:2015, recognized by TUV. 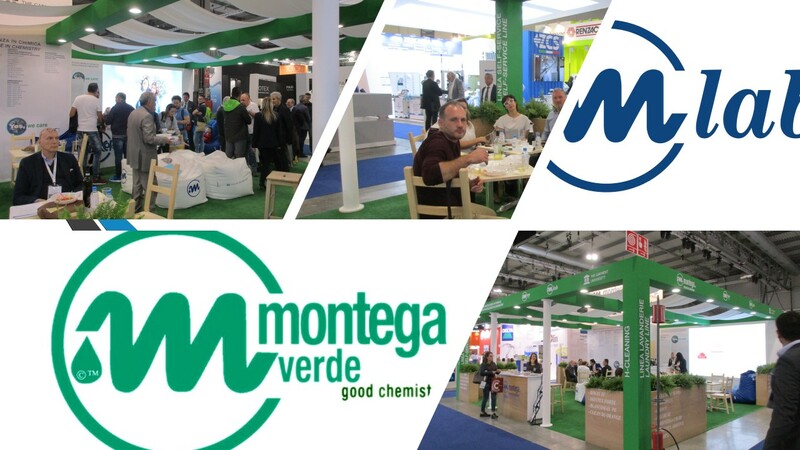 What is more, Montega® has chosen the protection of nature as a central point of their “Montega® Nature” product line designed for three different areas (Kitchen, Surface Cleaning and Industrial Laundries). Protecting the environment is complementary to saving in terms of both time and money. This happens thanks to an accurate selection of raw materials such as formulas based on natural origin surfactants able to work at low temperatures if compared to traditional detergents. In this way, Montega’s clients can continue to obtain outstanding results in terms of cleaning and environmental protection, and avoid higher costs. The Green line by Montega® allows for the use of a selfcontrol multilevel system placed at the start and at the end of the productive process. The elements characterizing the PMN – Procedure Montega Nature – are constituted by a filter at a base that is associated to the selection of raw materials used in formulas, and by two final filters associated to further, thorough analysis of finished products. Such filters are based on CLP classification (CLP regulation, “Classification, Labelling and Packaging”) of substances and the architecture of the raw materials used in the supplying stage. This allows to minimize the risks and to obtain formulas that include the raw materials whose characteristics imply human health protection together with the fauna and ecosystem protection. The CLP classification is an external element for Montega® as it is managed by ECHA (European Chemical Agency) which has got significant effects on the entire architecture of the eco-design at the base for Montega® Nature range. The “standard procedure” adopted elsewhere is carried out in an ordinary way. 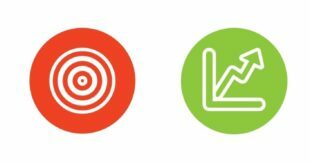 The formula follows the test of the product, its evaluation and, finally, the marketing. However, in such procedures what is evident is the lack of one or more filters that enable to protect human health and the environment. On the contrary, the protocol by Montega® Nature brings important changes to the base procedure described above. It actually does not consist of replacing the base procedure stages but it adds other stages that purposely aim at health and environment protection. 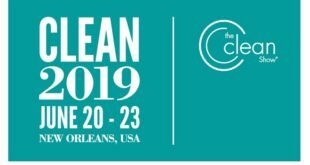 The system matches the ISO 14006 validation for Eco-design obtained in December 2018.